Woodland Hills is a lovely neighborhood in the San Fernando Valley of Los Angeles, California. It borders the Santa Monica Mountains, between the cities of Calabasas and Tarzana. Woodland Hills is an affluent area of Los Angeles, with a largely white-collar population of 65,000 people. Comfortable and safe, Woodland Hills is the chosen home of movie stars, singers and professional sports figures. 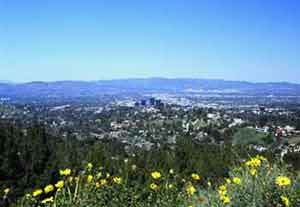 Woodland Hills is also less dense than other areas in Los Angeles, making it a good place to raise a family. Woodland Hills, as lovely as it is, is not immune to alcoholism or the opioid crisis. Addiction knows no boundaries. It affects young and old, rich and poor. Fortunately, this area of Los Angeles has a large and thriving recovery community. Alcoholics Anonymous meetings are abundant in this area. Narcotics Anonymous and AlAnon meetings are held in the area to help anyone who wants or needs it. Alcoholics Anonymous continues to save lives worldwide. Those first small meetings in 1934 have multiplied to meetings every day all day in most cities and towns across the globe. The meetings in Woodland Hills provide needed support and guidance for those struggling with addiction. Below is a list of Alcoholics Anonymous meetings held in Woodland Hills, California. For a more comprehensive list please visit this site. 7:00 am – Visions of the Valley – Prince of Peace Episcopal Church – 5700 Rudnick Ave.
8:00 pm – Too Young to Die – Interstate Vape – 21050 Ventura Blvd. 7:30 pm – Woodland Hills Speaker/Participation – New Life Church – 6115 Fallbrook Ave.
Substance abuse can affect anyone. Addiction does not discriminate. Asking for help is not easy, but, for many, trying to quit drugs and alcohol without it can be impossible. Luckily, southern California is a thriving hub of quality drug and alcohol treatment centers. Each drug and alcohol rehab may have its own individual program, but most of them agree on one point. They strive to help you find relief from addiction and learn to live peacefully. If you or someone you care about needs help, call someone today. Ventura Recovery Center Drug Rehab Treatment and Alcohol Rehab Treatment just a few miles away from Woodland Hills in Thousand Oaks California. It is in a small quiet community close enough to home but far enough to provide a fresh start. Those few miles can separate us from triggers and habits that feed addiction. A new climate can be just the thing we need to begin a new life. Call Ventura Recovery Center and have a confidential talk with our Intake Coordinator. Even if we cannot help you, we can find someone for you who can. (800) 247-6111. When someone stays at a facility for a period of time for addiction treatment, it is called inpatient drug rehab. Many programs offer 30 days of therapy, recreation, and life skills classes to help someone begin on the road to recovery from addiction. Group and individual therapy sessions are conducted by licensed health care professionals. As clients begin recovery, the emphasis is on rest and physical rehabilitation. Clients can regain mental and physical health while in inpatient drug rehab. My son has learned the value of a sincere commitment to a 12-Step program and how to deal with his temptations. He has done a lot of work examining himself, taking responsibility and becoming the person he has knew he wanted to be. He is not only clean and sober, he is confident and optimistic. We are thrilled with the progress our son made at Ventura Recovery Center. 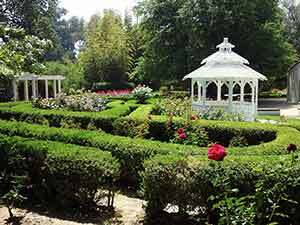 Orcutt Ranch is a lovely 25 acre park, garden and event venue nestled among rose gardens and orange groves. It is a popular place for weddings and special events. Top of Topanga Overlook is provides beautiful panoramic views of the Santa Monica Mountains, the San Gabriel and San Fernando Valleys. Native plants and flowers surround picnic areas and hiking trails are nearby to explore the area. By night, the vast expanse of city lights is breathtaking.